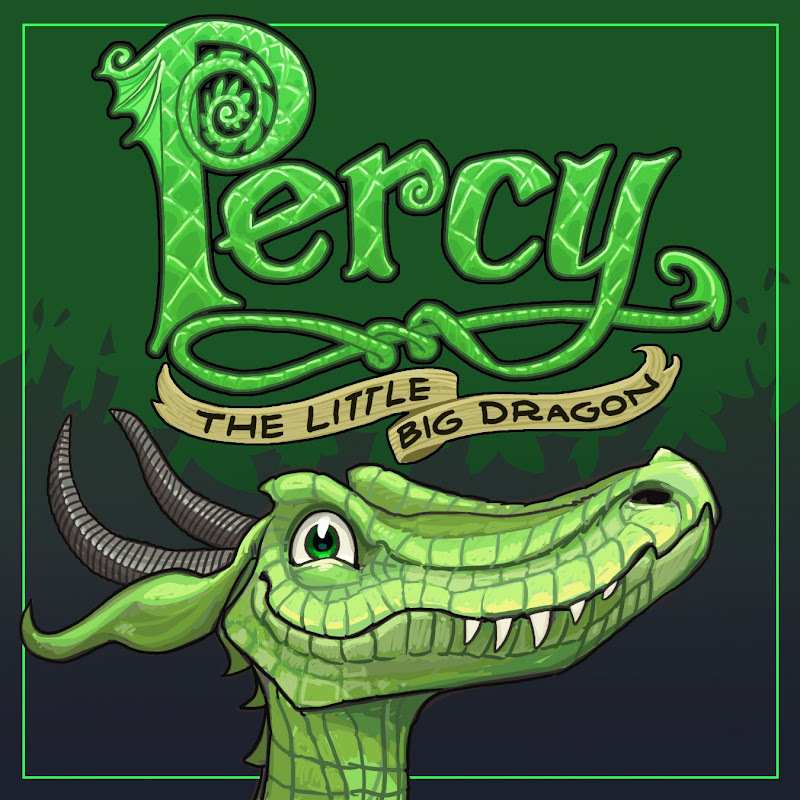 Percy: The Little Big Dragon isn't a comic, or even a picture book. This is an early reader book, the oddball stepping stone between picture books and chapter books. But here's the thing about nearly all early reader books: they have really simple illustrations. Kids go from looking at colorful, elaborate picture books to very stark, minimal early reader books. Now I know the focus is on learning to read, but there are pictures. So why not have big, splashy, picture-book-style pictures? With Percy, I'm going to attempt an early reader book with picture book level illustrations. My daughter has been reading Mo Willems' Elephant and Piggie books lately. She's at the early reader stage. Those books are really funny. In fact, I think I like them more than Mo Willems' picture books (sorry pigeon.) Anyway, I've always wanted to try one myself, so here goes. Get those early readers in here, see if they are too distracted by the pictures to read the words. I'd appreciate your feedback. Love it! I'll let you know what Taj has to say. Cool cover! We love the Elephant and Piggie books. The boys are screaming with excitement. It's getting shriill in here! I am SO excited to see what you come up with. I also love Elephant and Piggie more than his picture books. Goodluck! It looks great! Did you do it all on the computer? or sketch it up and then color it? All computer. 90% of everything I post here on the blog is photoshop, using a CINTIQ monitor tablet. It's such a treat that a successful writer/illustrator is sharing his page-by-page process for an early reader. I've thought about making the transition from PBs, but was not familiar with the format. These posts go along way at inspiring us to write one. Nathan, thank you so much for sharing! Btw...your Land of Doom / PB Marathon posts are a huge help and a great movitational tool for this year's marathon. Will you be participating?